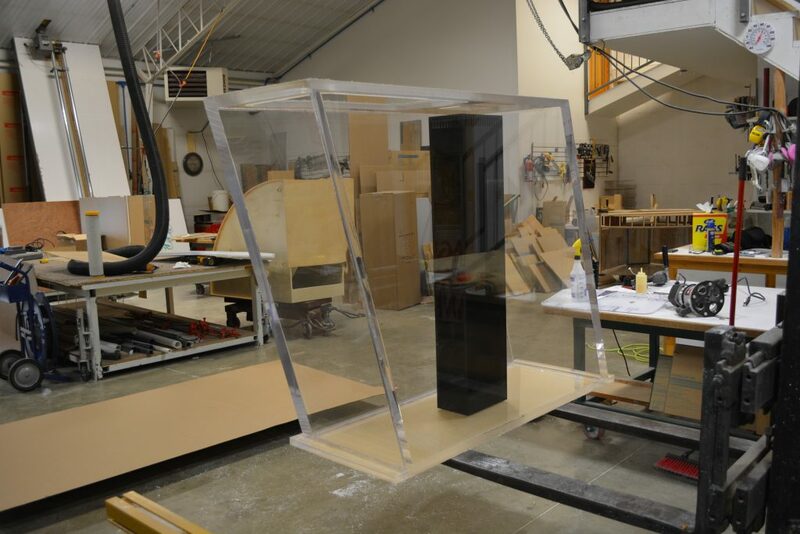 Midwest Custom Aquarium is proud to have acquired the experience over the years to be able to offer custom aquariums in almost any shape. 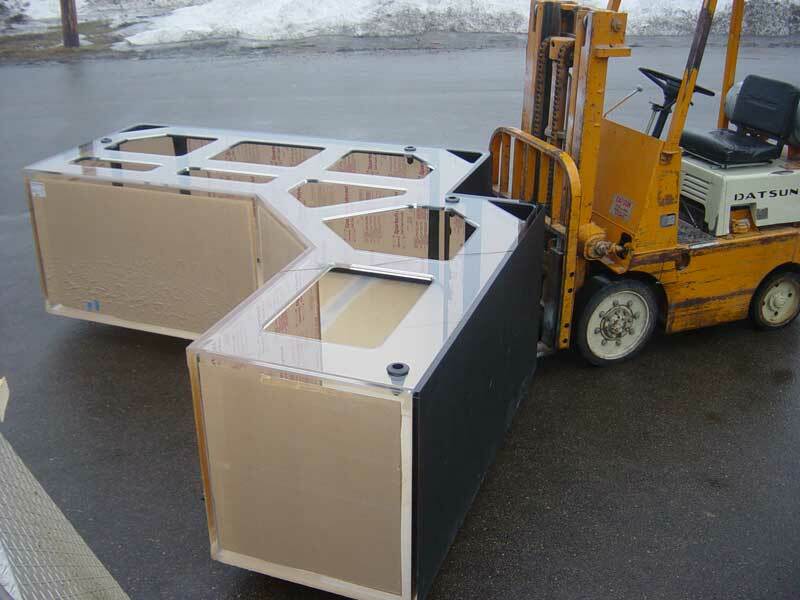 We are well known for these capabilities and are the go-to source for many custom aquarium installers and private individuals throughout the country. We are very good at it but haven’t allowed that to inflate our ego’s and prices along with it. Most odd shapes will require a drawing sent to us to quote it. Below are examples of just a small portion of the custom shapes we have built. 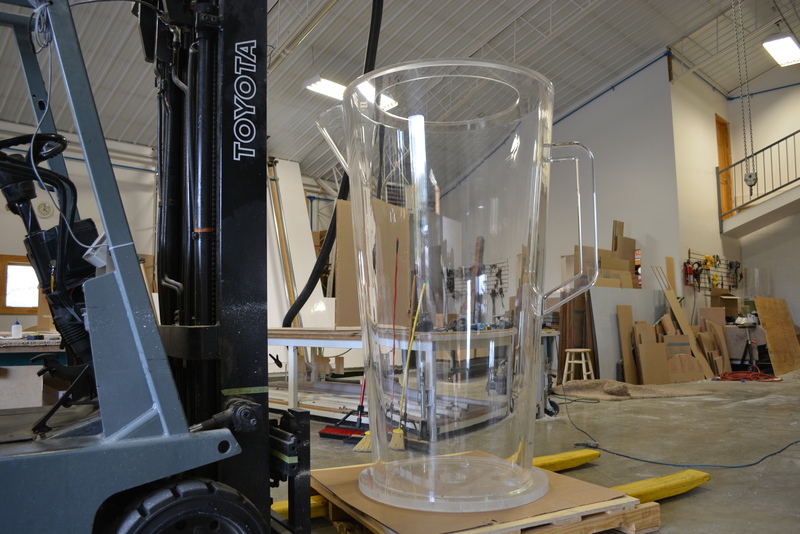 This is a 6 foot tall pitcher built from 2 halves of 1.5” thick acrylic. It is a challenging shape to build with the varying diameter. Custom handle and spout added as it will be a working vessel in a popular restaurant chain. We have made many of these. 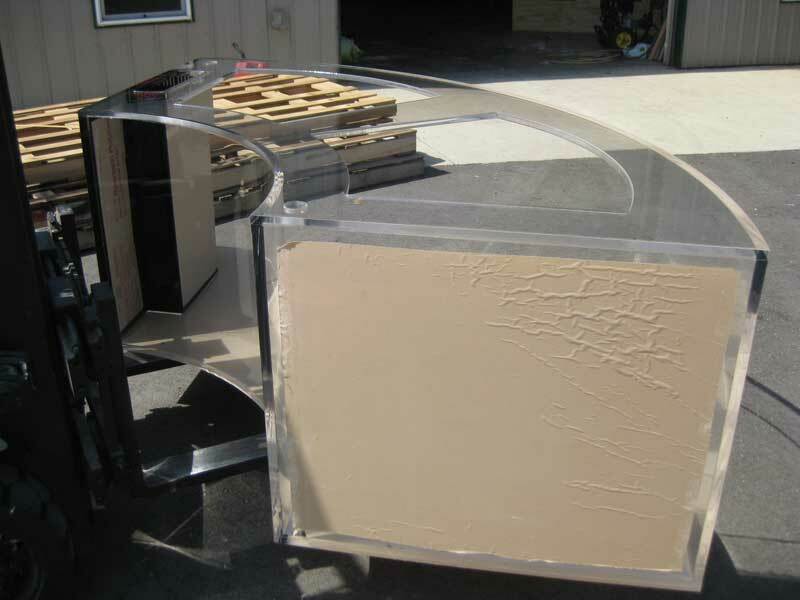 This is a large flat back oval shaped aquarium. 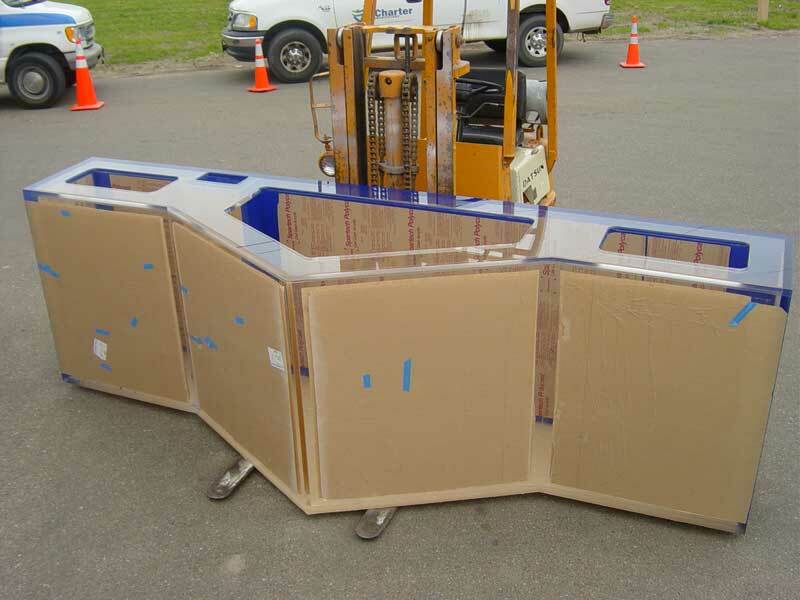 The seamless viewing panel is about 14 feet around. 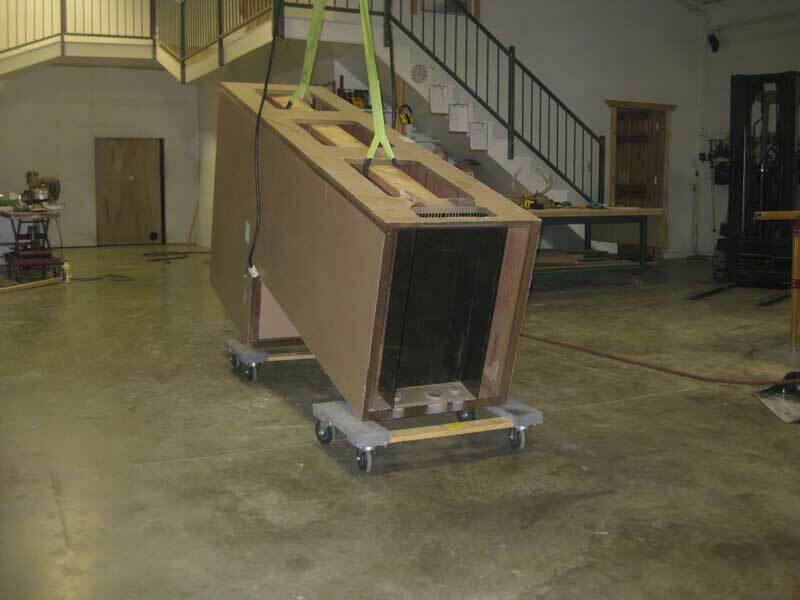 The large rectangular overflow on the end will be built into cabinetry and not seen. 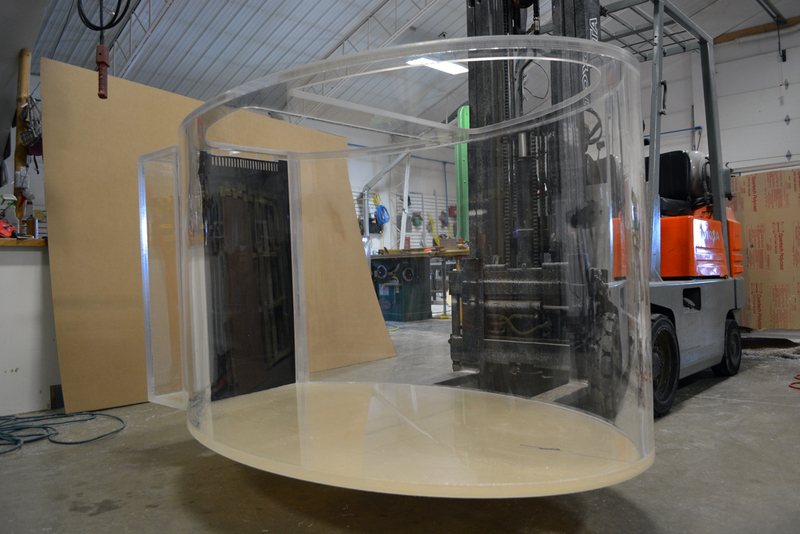 Stretched Kriesel (Jellyfish) tank built for a state zoo. This one is 10 feet long and 5 feet tall. 2” thick materials. There is a lot of complexity to this tank and very challenging to build. 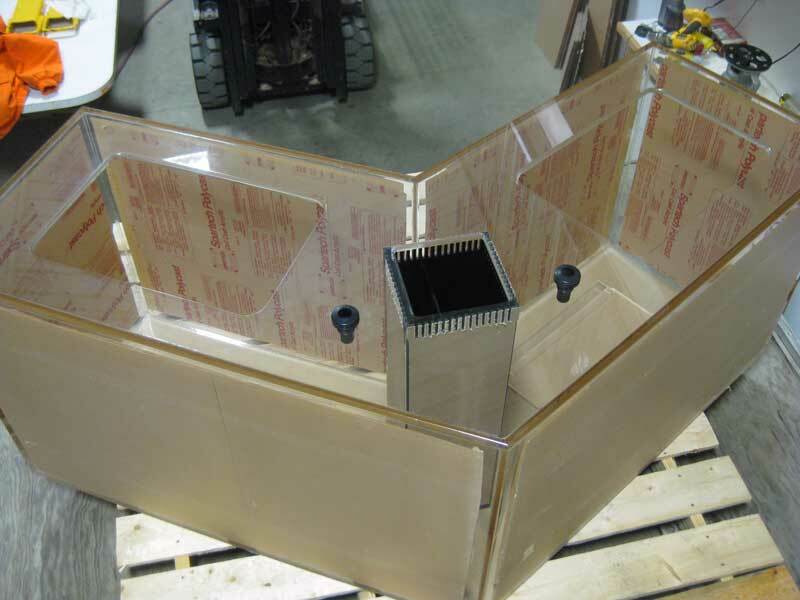 This is a large corner tank that is a variation of an L, but built to fit around an obstacle in the corner and a beveled front panel. Two mitered angles and three 45 degree corner overflows built in. Variety of custom cutouts on top. This is a tall tank built as a variation of a normal octagon. All sides are not equal so the angles are all different. Built with specific dimensions as a research vessel with some specific flow dynamics. All mitered corners. 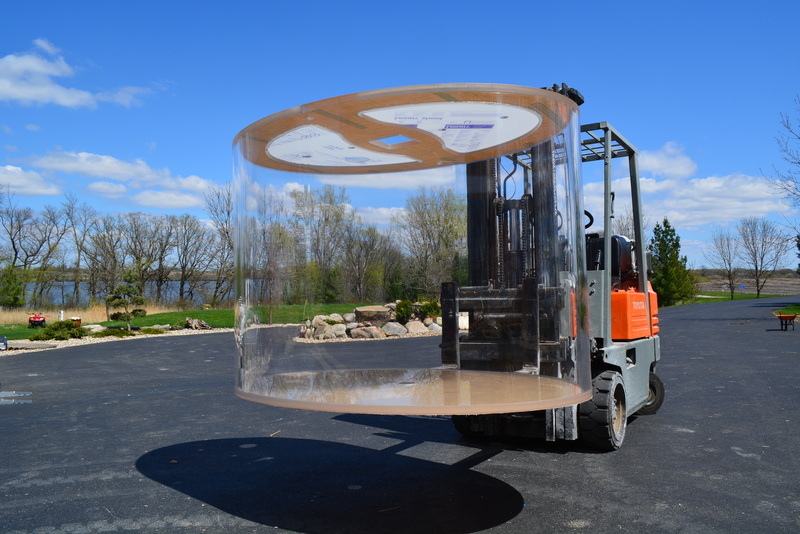 Built to fit a curved wall on both sides, this tank is shaped much like a comma. Standard rectangular overflow on one end. It will be viewed from round rooms on both sides. Custom V- shaped tank. 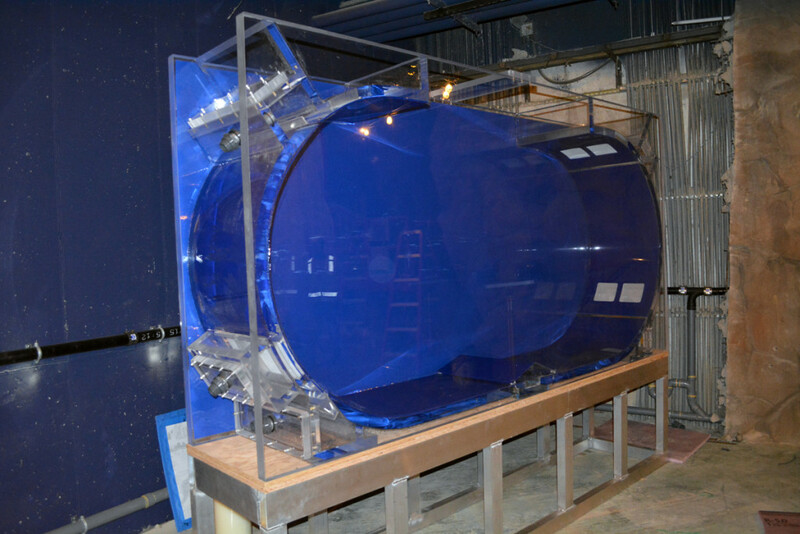 Built to go in a room for 360 degree viewing with 4-sided overflow in the middle of the tank. 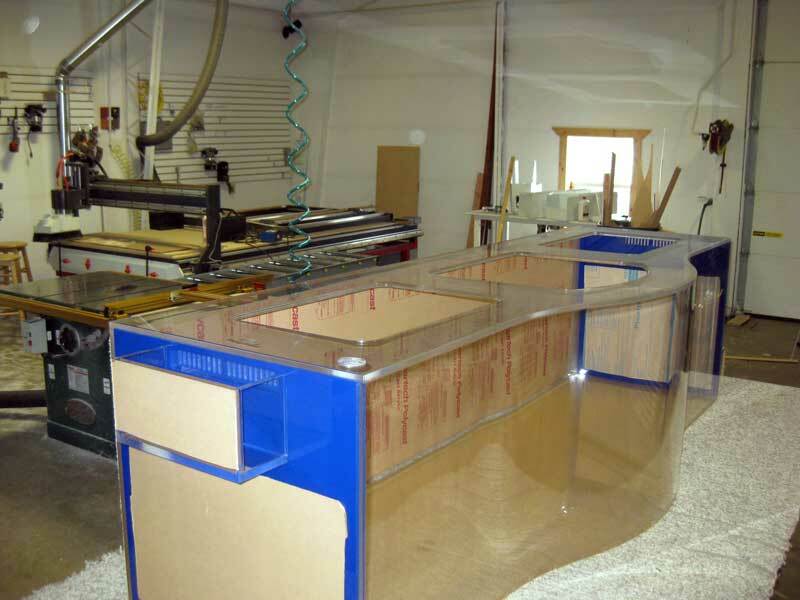 We’ve built a number of these aquariums and call the shape a Stepdown. 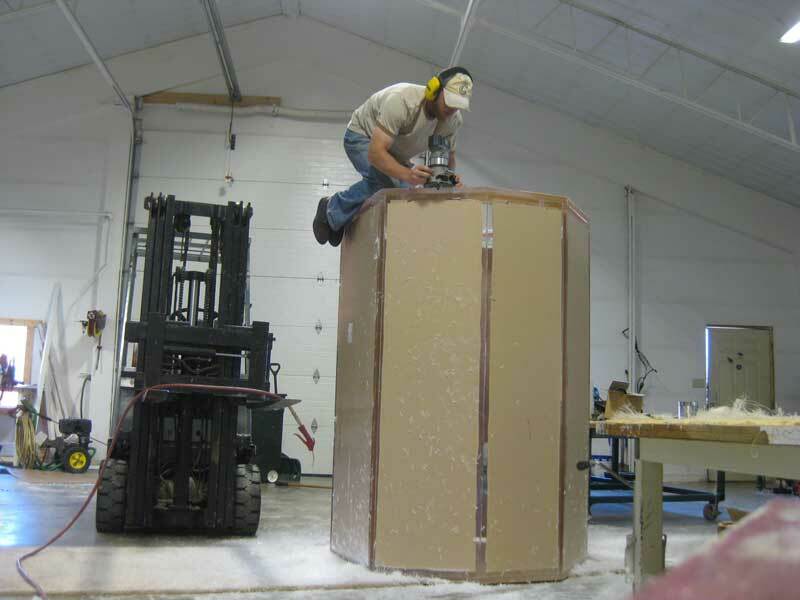 The majority of the tank is built at a certain height while the end portion drops down to give an area of deeper water. 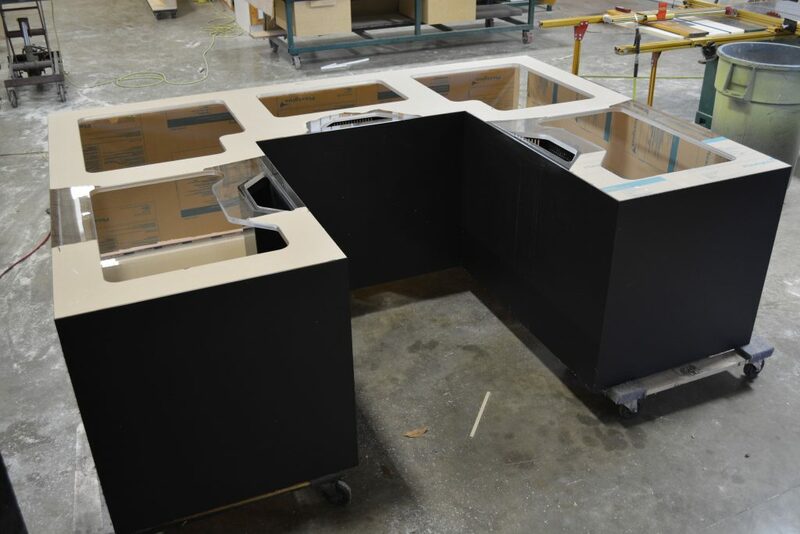 Most we have built are for clients who use them for reef tanks and want an area that is at a lower height for viewing as well as an area with lower light intensities. This one is 30” tall and drops down to 48” at the end. Set up as a peninsula with the overflow on the end that goes up against a wall. We build these somewhat regularly and call it a Recurve. Instead of the whole front bowing out as in a bowfront, just a portion in the middle does. It gives a nice graceful look to the front of a tank for a unique custom look. This particular one was built for an in-wall installation with external overflows on the ends. Tiered aquarium for plants. Water cascades over each section from high to low. 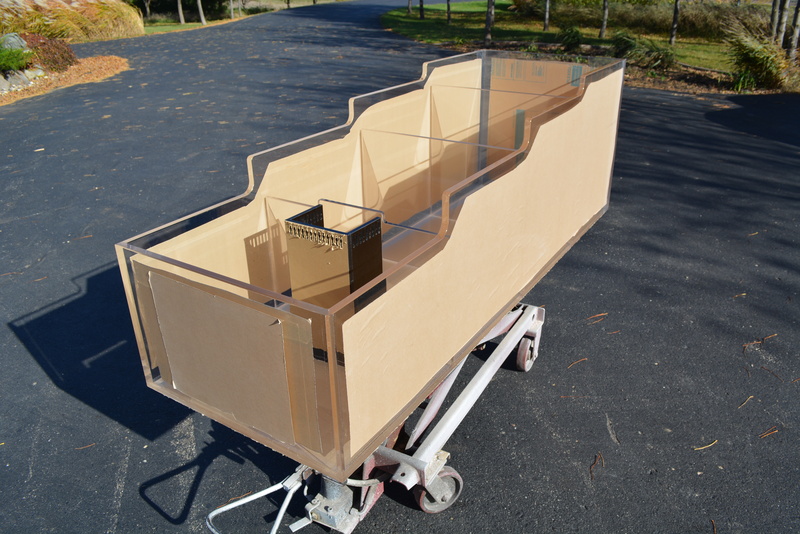 This custom shape was built to be installed into a bookcase, whereas the front with large protruding V is the portion that is viewed. 3 mitered joints on the front. Pretty neat tank once installed.